Your equine dentist is neither a new phenomenon; nor another modern invention. Tooth rasps and other equipment developed to look after horse teeth were produced as long ago as the 19th Century. Domestic Horses and ponies need regular checking by a qualified equine dentist. Without correct dental care, horse teeth problems can lead to behavioural problems, lack of performance and loss of condition. During the early period when a horse was our only form of transport, vets routinely floated (rasped) a horses’ teeth knowing that it was important to keep the horses’ mouth comfortable. Young horses should be checked to ensure that teeth are normal and are developing as they should. Then once your horses’ permanent teeth start coming through, you should ensure that they are also correct. 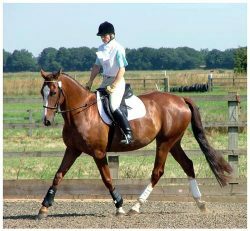 It is very important that you check before your horse is introduced to the bit or started on their ridden careers. Regular check ups should follow on throughout their life, and the equine dentist will ensure that your horse stays comfortable and happy in his mouth. And; don’t forget that when your horse retires his teeth will still need attention, just to make sure he is able to process food and forage well into his old age. Top 7 reasons why your horses’ teeth need regular treatment by a qualified equine dentist. Horse teeth erupt throughout the life of a horse. Normal use can create sharp points on the cheek surface of the upper teeth and on the tongue surface of the lower jaw. These points can cause discomfort, pain and even lacerations in the mouth and can hinder performance in the working horse. A horses diet is mainly roughage, so horses need teeth of an even height. Roughage digestion occurs by microbial fermentation in the caecum. Particles that are too large pass through undigested and nutrients are not digested. Inadequately chewed roughage increases the risk of intestinal obstruction (colic). This is due to the non-abrasive nature of the diet of the modern domesticated horse. Early or late tooth eruption causes an uneven chewing surface, this becomes exaggerated over time. Tall, sharp canine teeth can pinch or cut the tongue ( a problem in geldings and stallions). 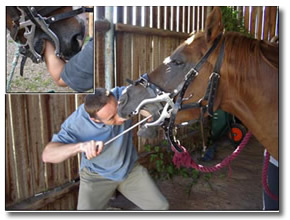 This chewing action requires an angle of about 15 degrees on the molar surface to allow the horse to chew efficiently. The Equine Dentist wil rasp sharp points that may cause problems? Sharp points occur in most horses teeth over time due to uneven grinding and wear on the horses molars. Equine dental terms and meanings. Also Staph infections are sensitive to amoxicillin cymbalta buy canada if clavulanic acid..